My fav look, Nargis Fakhri in one of London Fashion Week coolest labels- Peter Pilotto. 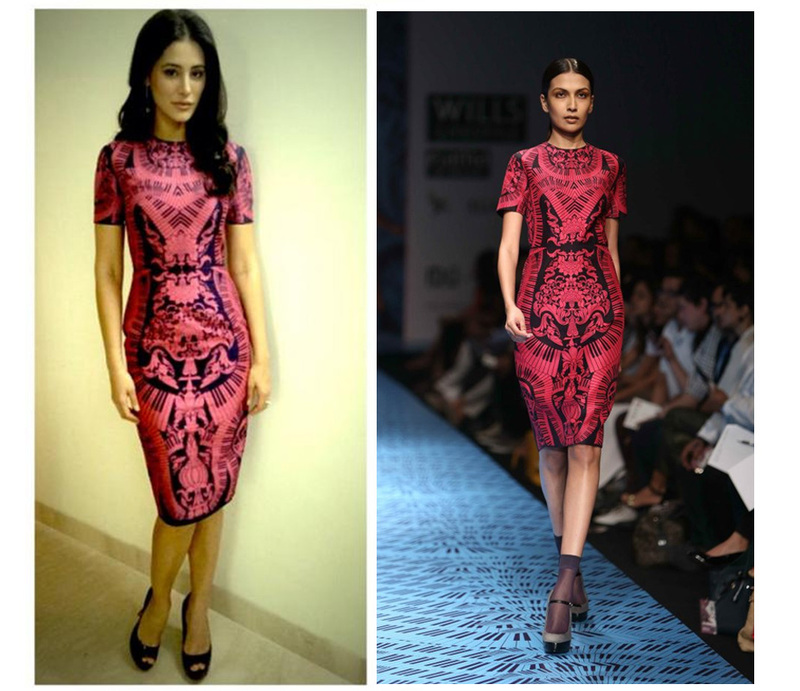 Nargis Fakhri in Pankhaj and Nidhi dress. I like this casual look too. The Biker Jacket continues to be a must have item this A/w and this Navy version from Zara is ohh soo versatile.